Our Early American Decision Maker Dice come with 5 imprinted sides: Yes, No, Maybe, Tomorrow, and Today. Custom Print the 6th side of these dice with your company logo or message. 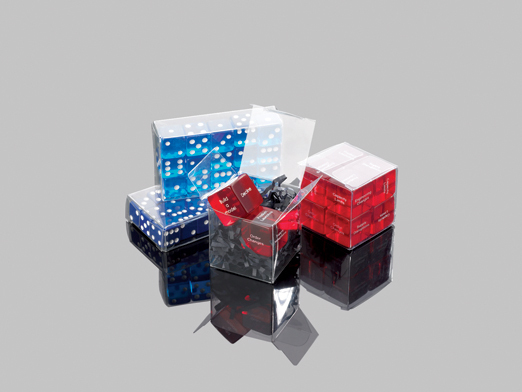 Our Decision Maker Dice are made of a durable urea plastic and come in your choice of transparent or opaque. Pricing is for bulk-packed dice. For dice packaged in pairs in plastic boxes with fill (as shown), add $1.25 (V) per box.